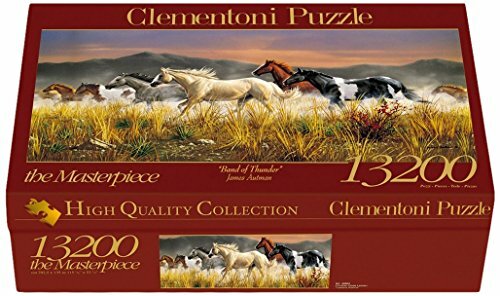 A herd of horses is running across the plains in this scenic 13200 piece jigsaw puzzle. Mountains can be seen in the background. It is printed on anti-reflection paper and includes a packet of glue. The finished puzzle measures 114 5/7" x 53". Measures 114 5/7" x 53"